Polyscope is proud to announce that it has won a Deloitte Best Company Award 2013. This distinction was awarded as part of the “Best Managed Companies” program, organized by Deloitte in the Netherlands in cooperation with the TiasNimbas Business School and the VNO-NCW. A critical jury assessed relevant applicant companies on their financial statements, growth, strategy, organization, and management. The jury then awarded the title of “Best Managed Company” to the most outstanding of these companies. The award winners reflect the notable work ethic and ingenuity of the Netherlands’ leading companies in 2013. As a fast growing company, Polyscope stands out through its ability to balance external growth with manageability. 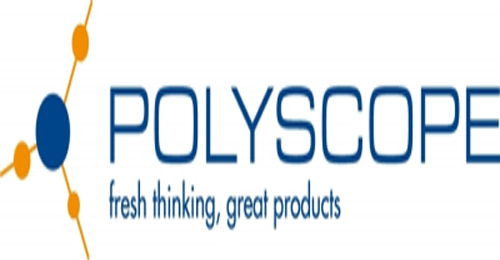 Patrick Muezers, Managing Director, Polyscope explained, “As a young and innovative company, Polyscope managed to distinguish itself as a Best Managed Company thanks to the commitment shown by our employees, stakeholders, advisors, business partners, and those around us. They all made a significant contribution, for which we are very grateful. We view this award as a great response to, and confirmation of our efforts over the past few years.” Mr. Muezers adds: “Deloitte’s feedback on our style of management provides us with guidance for the future. Next year Polyscope will focus on the “Youngster Poly-development Program”. Our objective will be to provide training within our compay for young starters, helping them to become competent and capable managers.”Polyscope congratulates fellow honorees on their achievements and looks forward to another great year of business, improvement, and growth. Each year Deloitte seeks the best managed companies in the Netherlands. Every applicant must be a private, medium to large Dutch company with a minimum annual turnover of 15 million euros and are financially sound. For full details on the programme and winners (in Dutch) please visit www.bestmanagedcompanies.nl. Polyscope is the global leader in research, product development, production and supply of styrene maleic anhydride (SMA) copolymers, compounds and aqueous solutions. Polyscope offers a full spectrum of styrene maleic anhydride copolymers and compounds for engineering plastic and specialty chemical applications under the trade name XIRAN®. The XIRAN® neat resins have a very broad molar mass range and a broad maleic anhydride variation. For engineering plastics the SMA/ABS based compounds have varying impact modification levels and glass fiber content. For specialty polymers Polyscope offers low molecular weight XIRAN® neat resins and solutions that are chemically modified to meet customer needs.A global customer base is supported from corporate headquarters and production in Geleen, The Netherlands, and with local compounding and contact manufacturing facilities, as well as sales & marketing support in Europe, North America, and Asia.